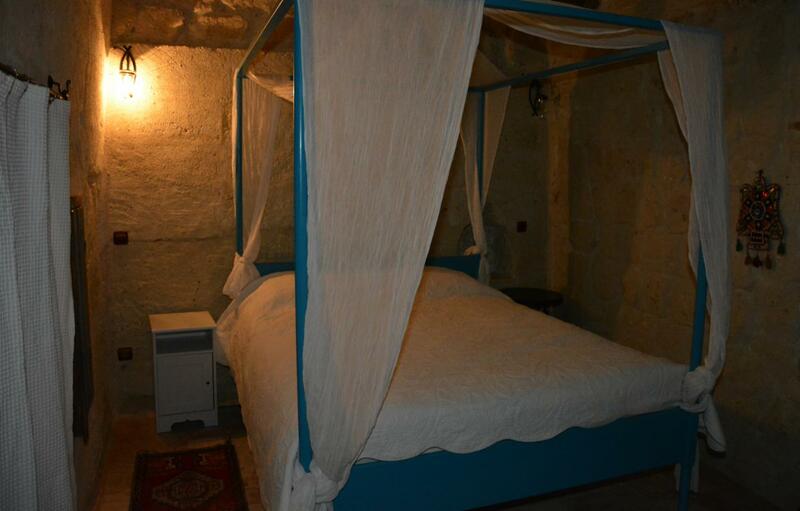 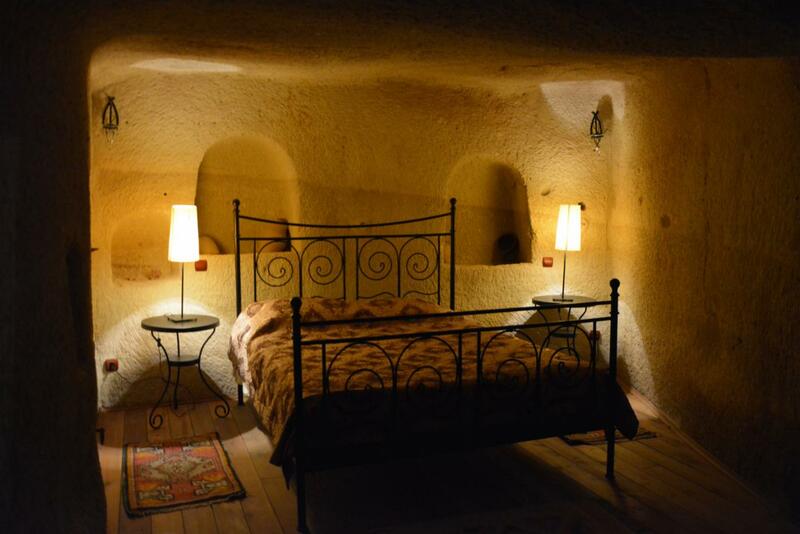 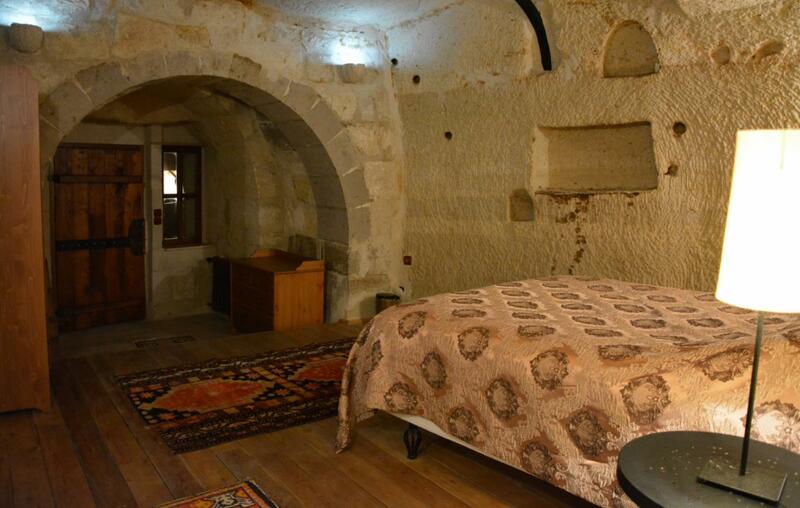 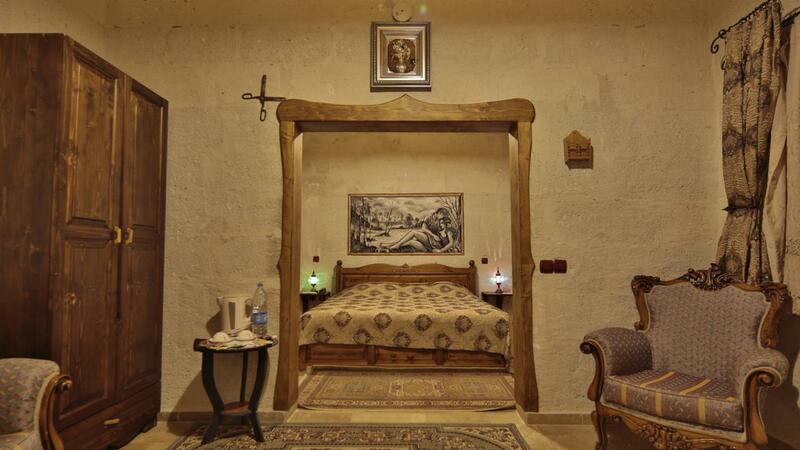 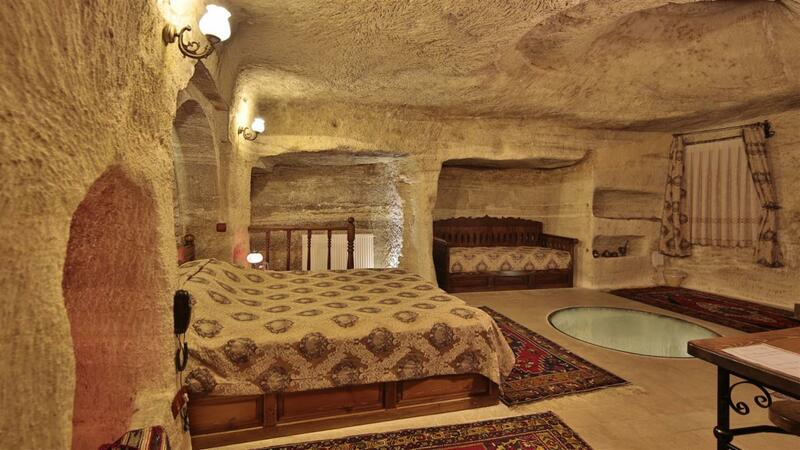 Located in Goreme, Chelebi Cave House Hotel is set in a renovated Greek stone house on one of the winding streets that lead up to the town centre. 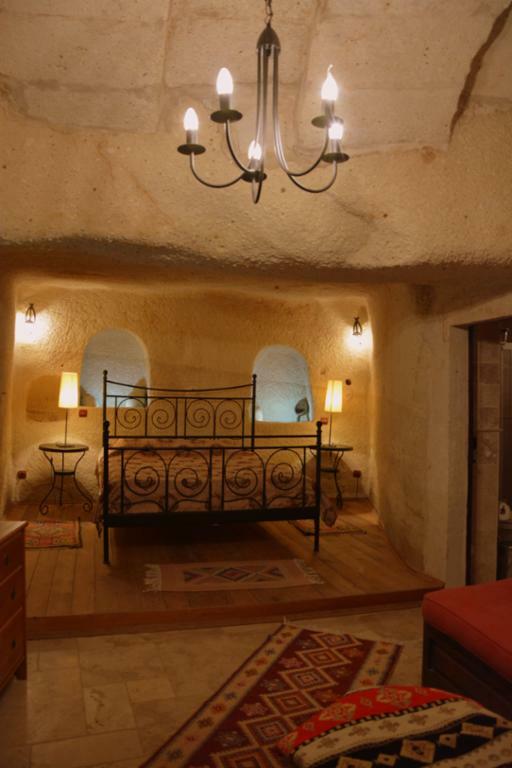 It offers 2 terraces with panoramic views of the city and the famous rock formations. 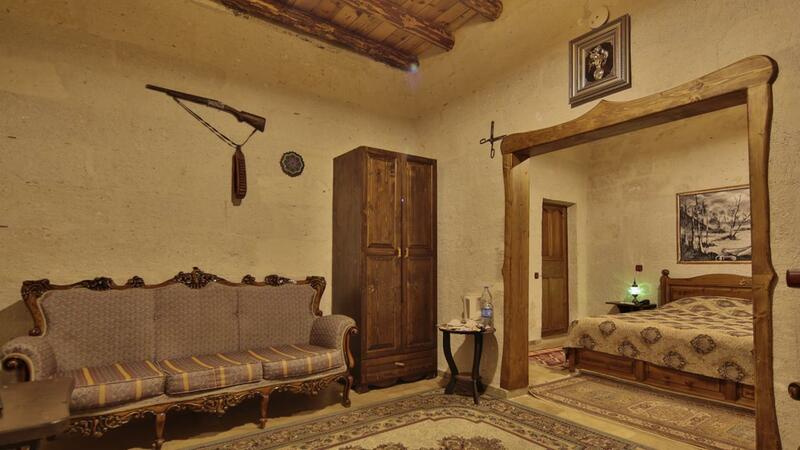 Free Wi-Fi is available in public areas. 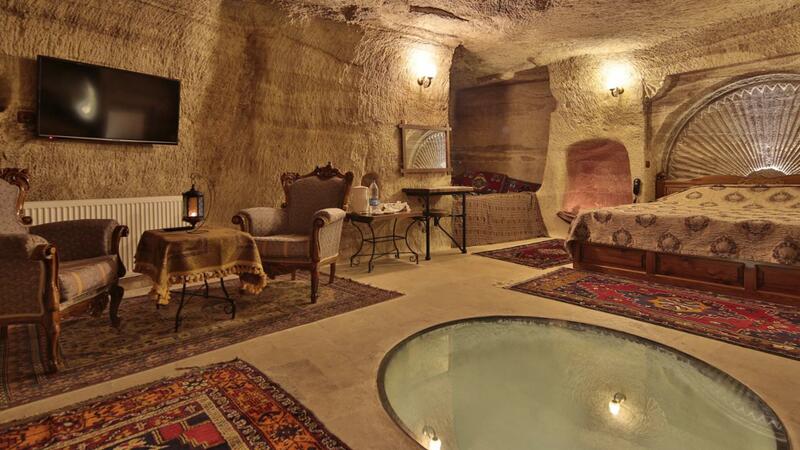 Preserving the building’s authentic structure and character, the rooms at the family-run Cave House Hotel Chelebi come with private bathrooms with a shower or a spa bath. 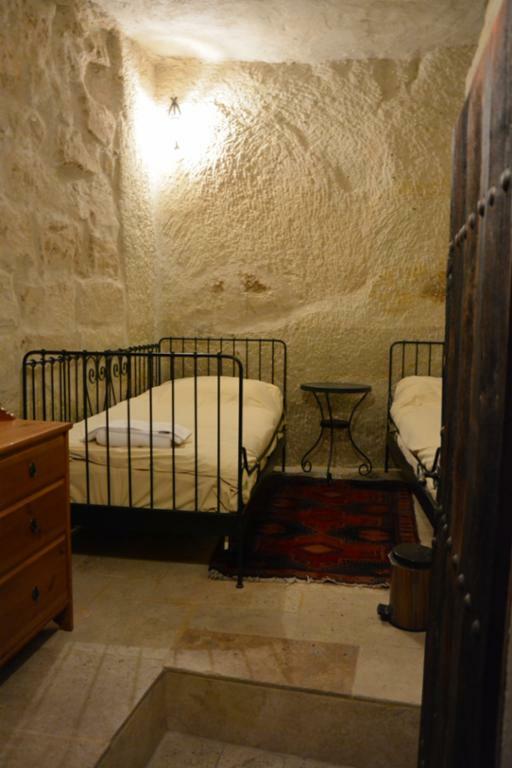 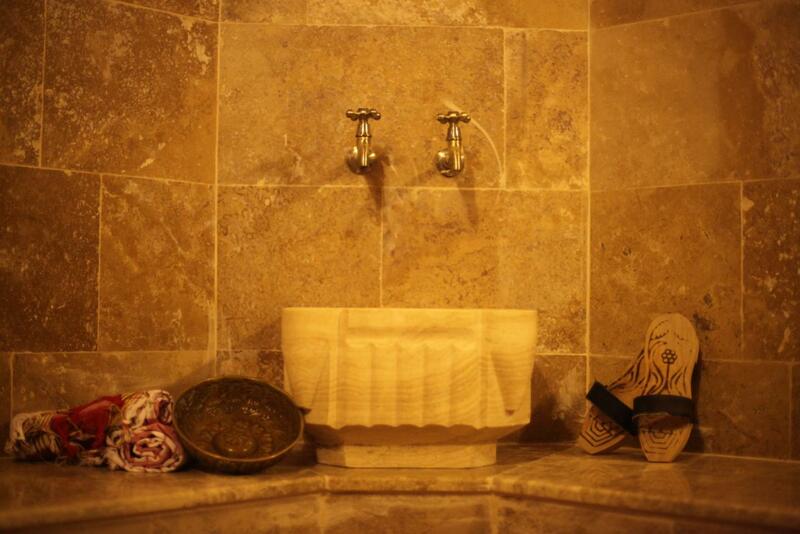 The natural stone structure of the rooms keeps them cool during the summer and preserves the heat during winter. 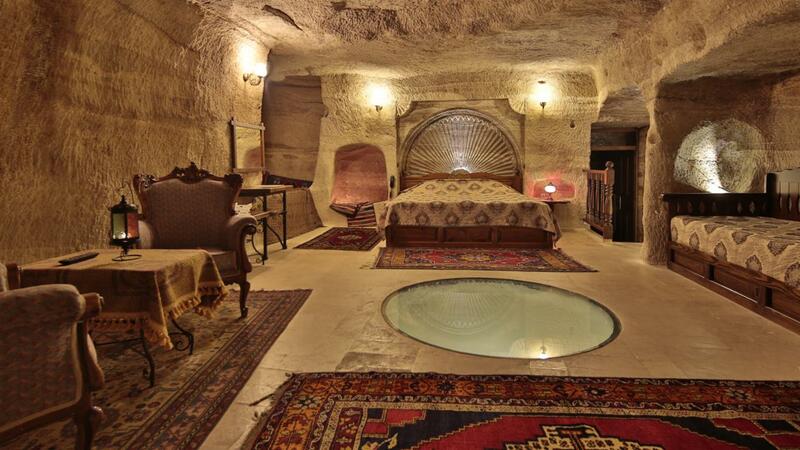 Every morning breakfast is served. 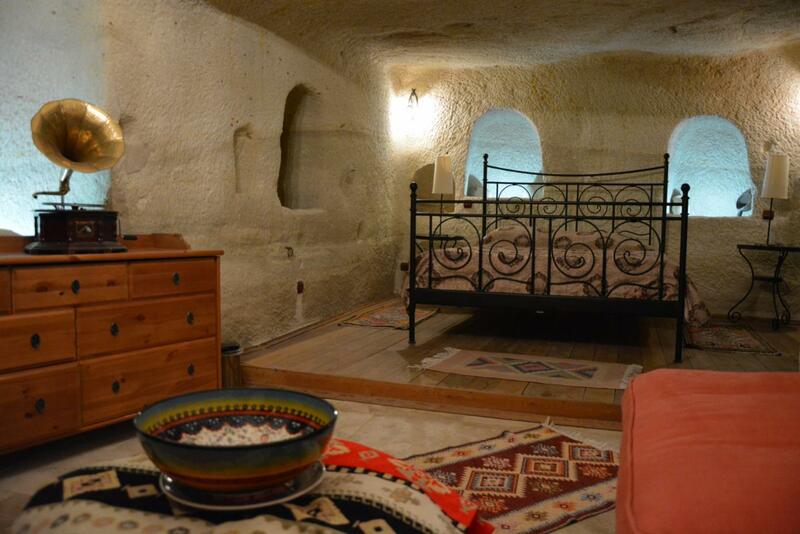 The cave restaurant in underground floor offers freshly prepared homemade local meals. 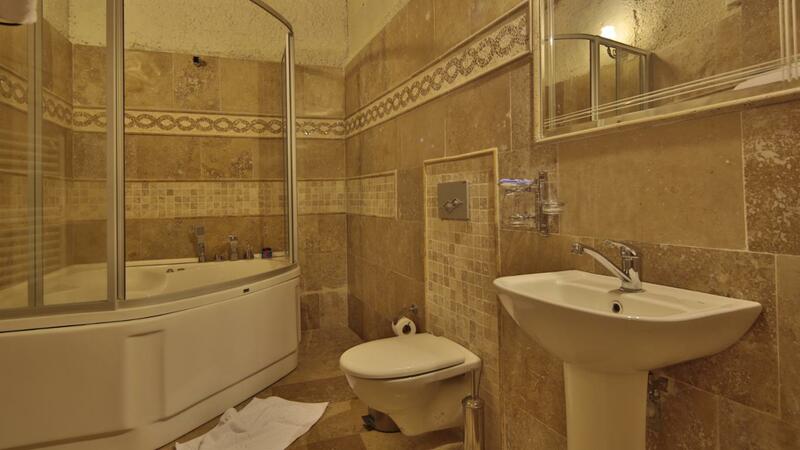 Just 600 metres from the town centre, there are other dining options in the vicinity. 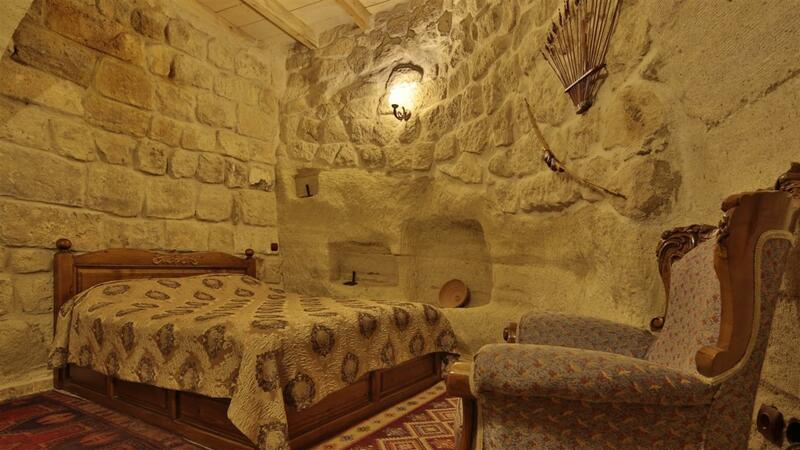 The staff, available 24 hours a day, provides information on Cappadocia, including the best hiking routes and lesser known places of interest in the area. 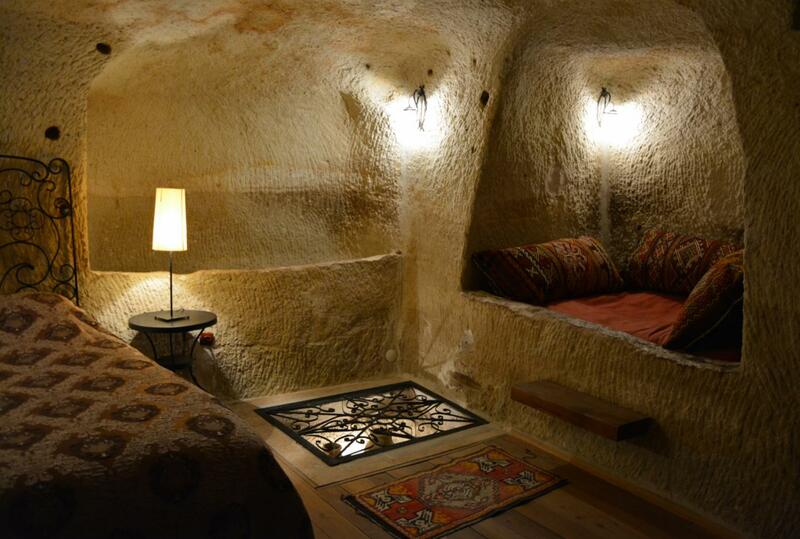 Nevsehir Kapadokya Airport is 47 km away. 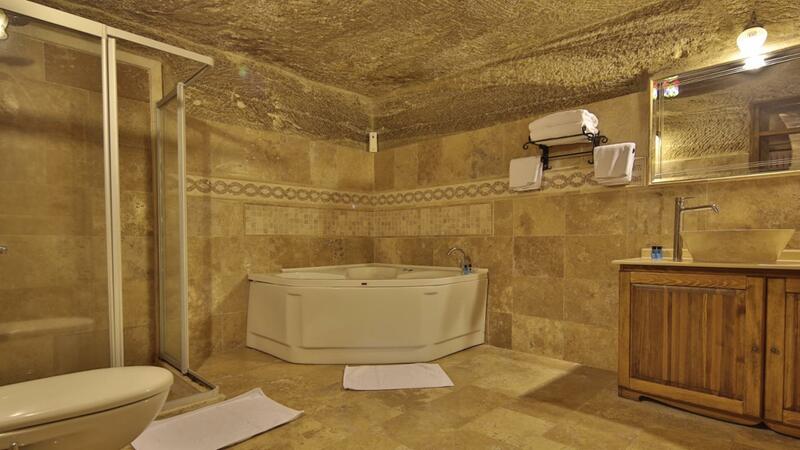 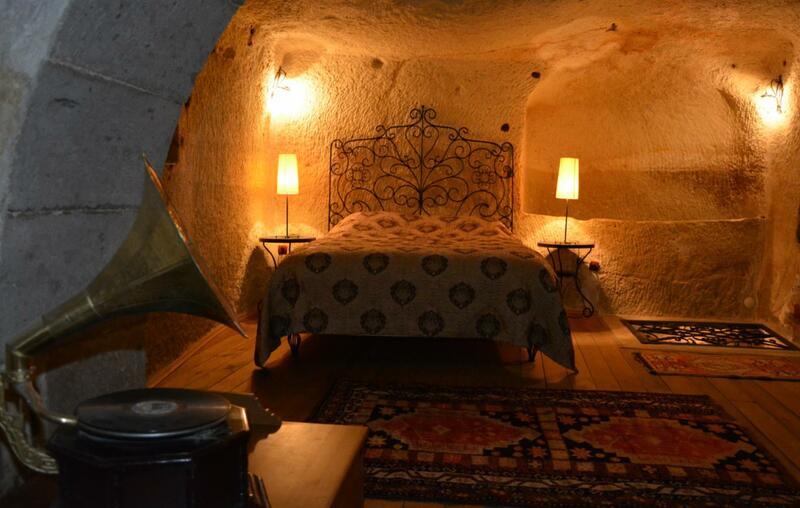 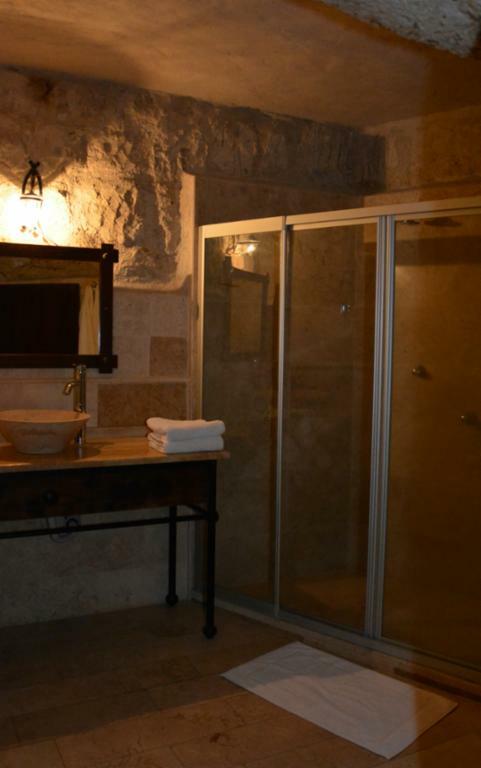 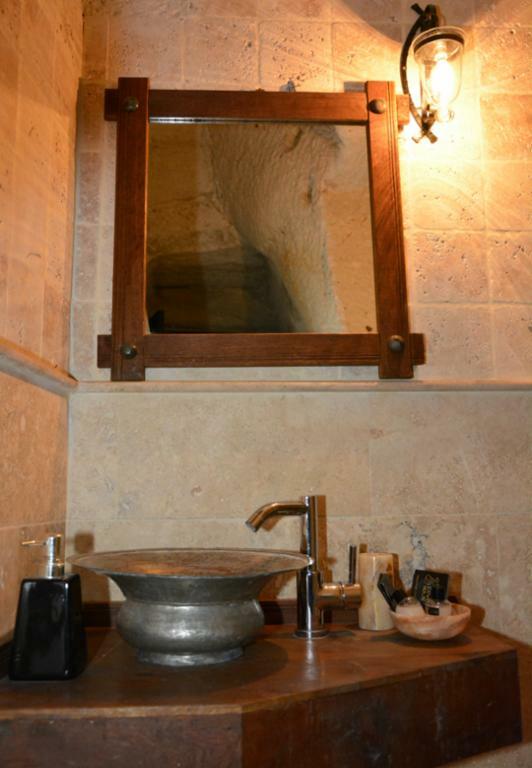 The en suite bathroom in this junior cave suite includes a shower or a bath. 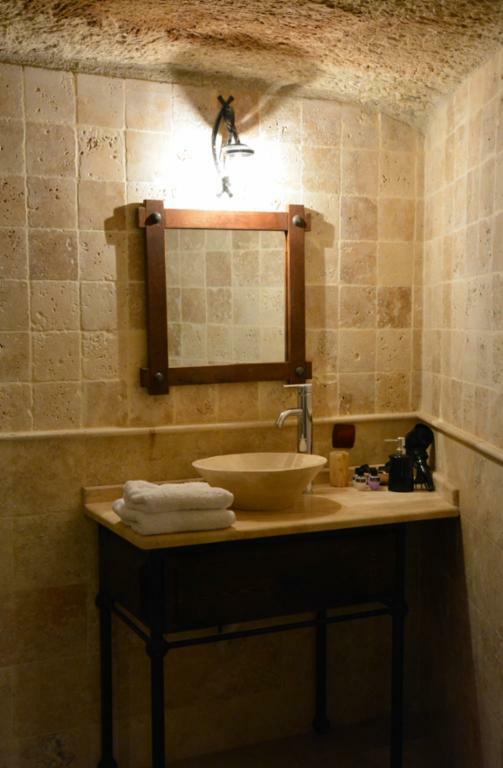 This suite has a bedroom and the en suite bathroom in this room includes a spa bath, hairdryer, slippers and free toiletries. 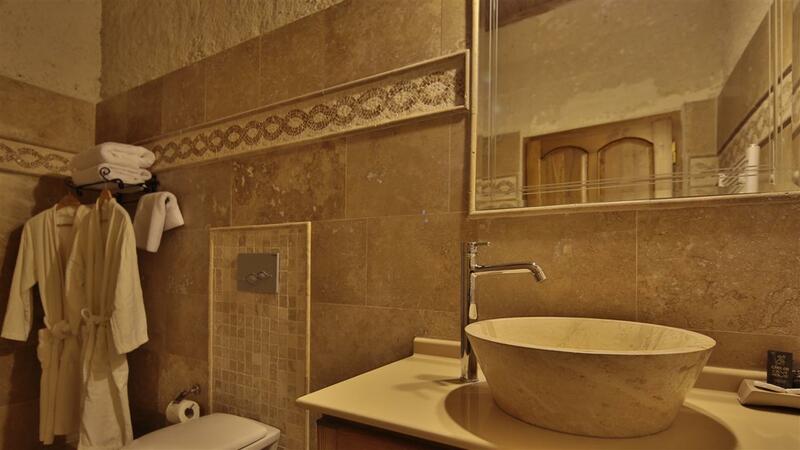 The en suite bathroom in this room includes a shower or a bath. 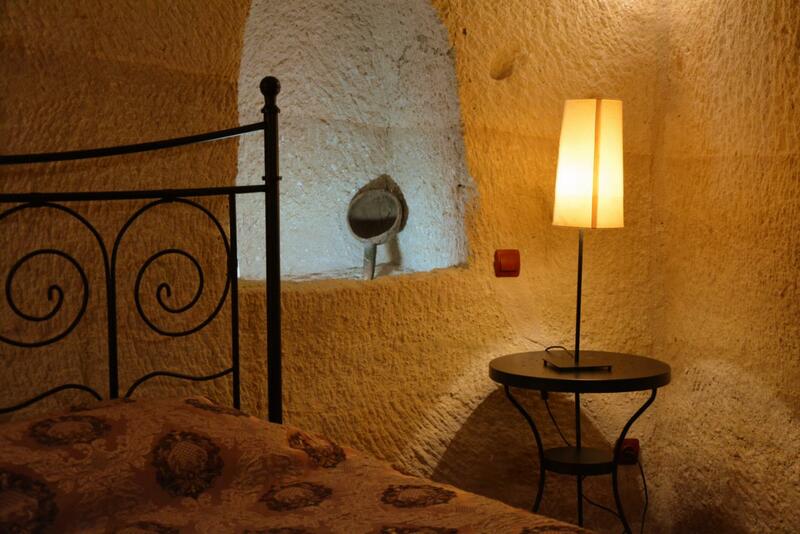 This double room has a view, air conditioning and spa bath.